Hey friends! A lot of people want to blog, and just don’t know how to start. 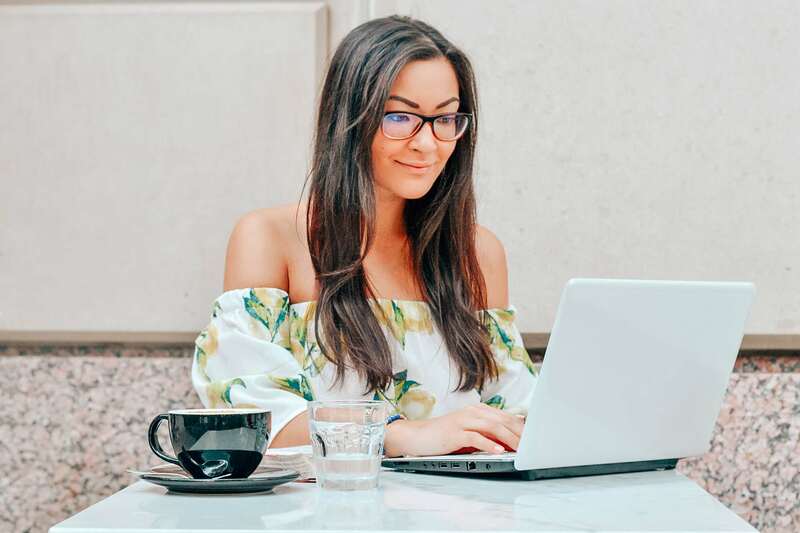 Well here’s how I started my blog- follow these steps for a super easy way to start your blog (and a professional one at that)! What does that even mean? 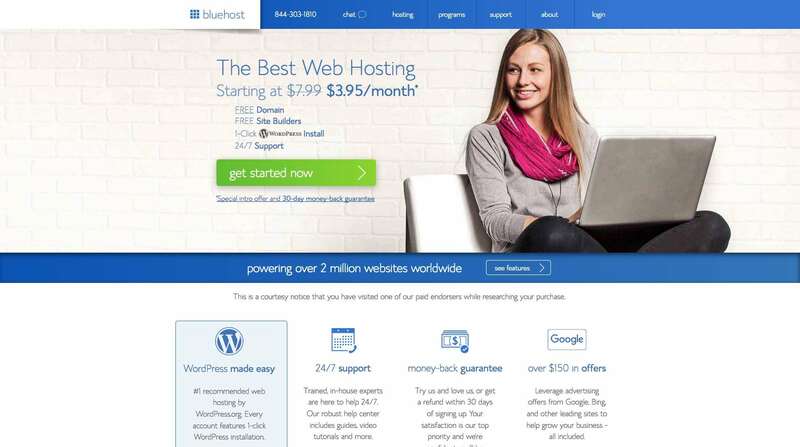 It basically means that you pay someone to store your website on a computer connected to the internet that is on 24/7, 365. 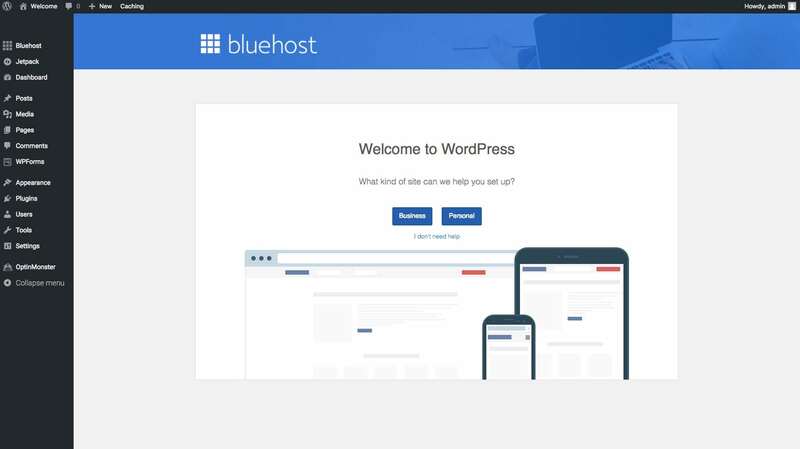 If you hosted your website on your home PC, every time you turned off your computer, no one could get on your website! Pretty crazy, right? The inner workings of the internet. Amazing. 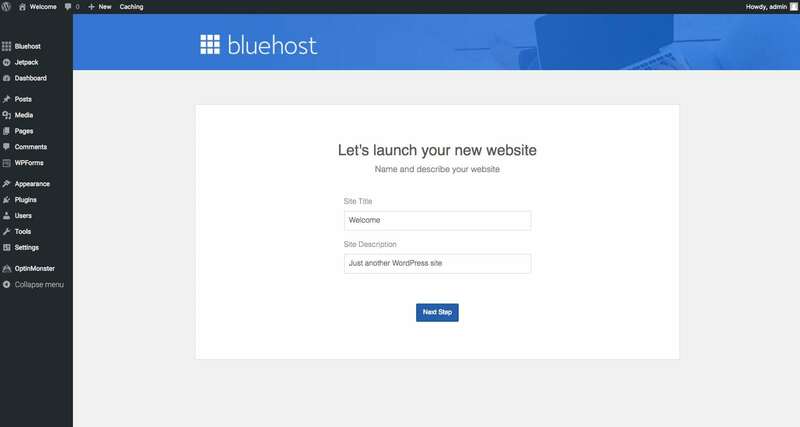 I use BlueHost, and pretty much everyone who’s anyone uses BlueHost. 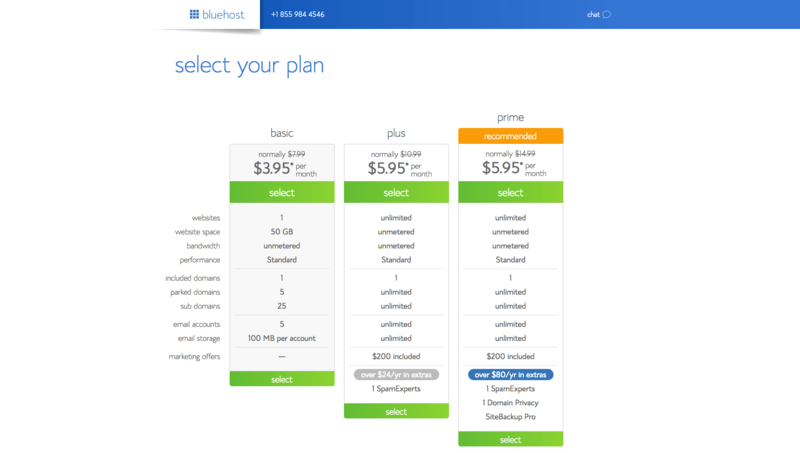 You can get your domain through BlueHost, which is the easiest thing to do if you are planning on using BlueHost for web hosting. 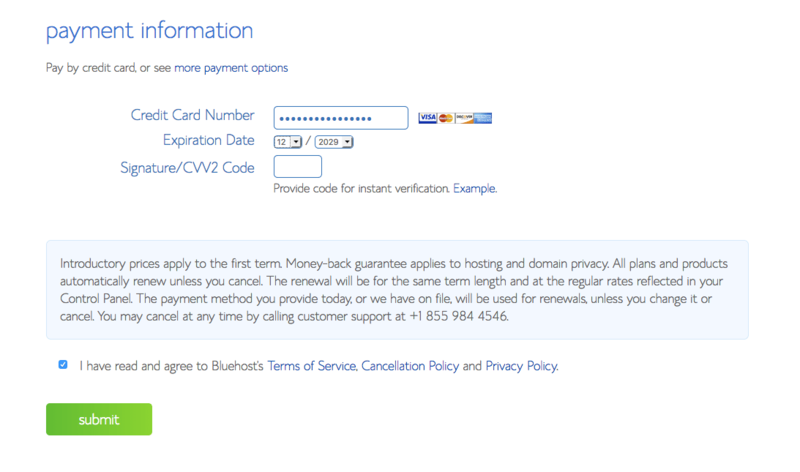 Enter in the domain name that you want and hit “next” to see if it is available. If it has already been taken, you will see an error message letting you know it is unavailable. What’s a theme? Its the overall layout of your site. WordPress comes with some default themes that you can use, but there are SO MANY themes out there! It’s pretty easy to google WordPress themes to then find one that you like. 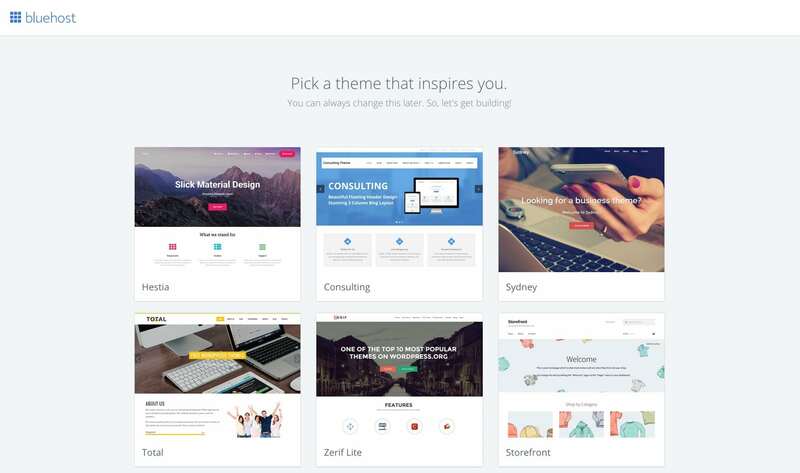 You can get free themes, but paid themes often have more features, and come with better customer support. For example, my site randomly had an issue where on mobile devices my menu wasn’t opening. The creator of my theme, AJ, almost immediately responded to my request for help, and fixed the issue on the SAME DAY, even though it was Saturday!! Talk about amazing tech support! And you can easily switch between most themes. 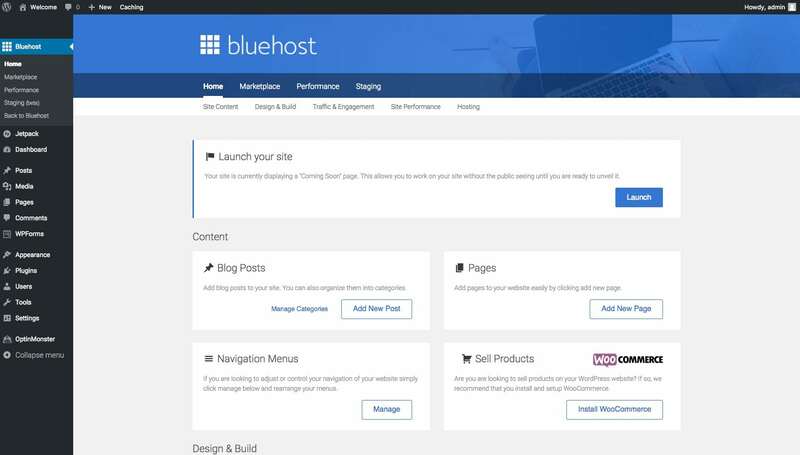 In the BlueHost section, you can go ahead and launch your new site when you’re ready! If you followed the steps above, you have a wordpress.org blog. Though wordpress.org and wordpress.com are both made by WordPress (if you couldn’t tell! ), there are major differences between the two! WordPress.com is much more limited. While your blog will be entirely free, your URL will always have wordpress in the name (i.e. 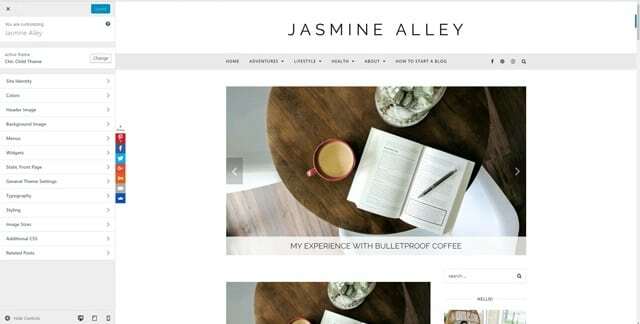 jasminealley.wordpress.com). WordPress.com is simply not nearly as professional and doesn’t allow for customization. 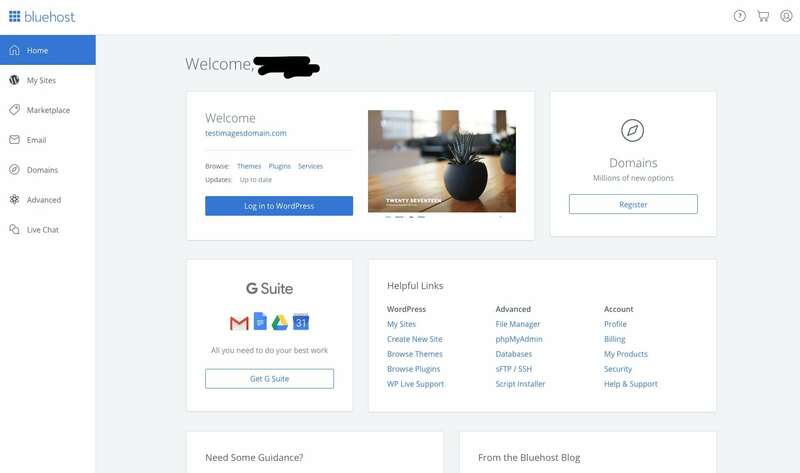 Another pro is that you can create a “child-theme” which derives key functionality from the parent theme, which means that even when your parent theme updates, the customization you have done won’t be affected. (This can be confusing… see Step 8 for more info). Basically every pro-blogger out there that uses WordPress uses wordpress.org. There are a lot of website developing tools out there. I actually started with Wix.com, because I didn’t know any better. I had my whole site ready to launch, when my husband informed me that WordPress is where it’s at. Now for the fun part! You can easily customize your theme by changing fonts, colors, positioning, widgets, etc. as your theme allows. This part is what makes your website truly your website! This screenshot was from my old blog format- it was really easy to switch to my current format. Within WordPress your content basically exists as text and photos that get imported into your blog theme. That will take you to this screen (above). Using the different sections in the left hand side bar, you can make all sorts of changes! Note that to log into your site, the easiest thing to do is access it using your URL with “/wp-admin” attached to the end of it. 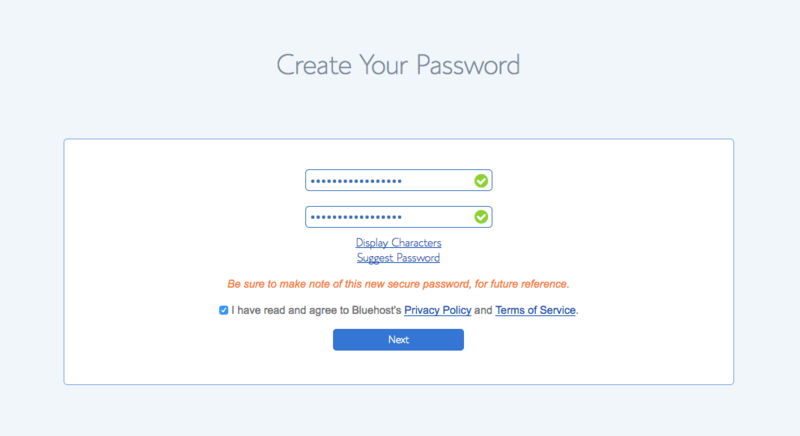 You’ll be prompted to log in to WordPress, and voila! You’re ready to make all sorts of changes. Once you’re done with these steps, it’s time to add posts and go live! You’re now free to blog away! Back to the concept of child-themes. I am currently using a child-theme that I customized from my parent theme. This is the step you want to take once you’ve established your blog, as it keeps your personalized theme safe from updates that could alter it. Read here for more information on child themes, but don’t feel like you need to do this immediately. It’s definitely something you’re going to want to do a bit further down the road, though (and definitely before you run updates on your theme)! Don’t stress and have fun. Easier said than done, but it’s true. Blogging should be fun, not a chore! So forget about the nitty gritty and comment any questions below! I’d be happy to help you work out any kinks you’re having! Hi, I’m Jasmine! I’m a nature-obsessed, beauty-finding, Jesus-loving dreamer with a serious case of wanderlust, traveling the world every chance I get. My goal is to show others how they can too, even with a full time job! Thanks for following along on my adventures! If you're ready to share your ideas, stories, and adventures with others, check out my post on how to start a blog. It has all of the logistics on how exactly to create your own website! Hello friends! FYI, most product links on my site are affiliate links, which means that I may earn a commission from advertising or affiliate programs. This doesn’t raise prices- it sometimes may actually lower them! Thanks for supporting my blog by purchasing through these links! Subscribe to my monthly newsletter for all of my travel and influencer updates!